we have some rain in the forecast and i can't get back out for a couple weeks so i figured i would spin out and swap the SD cards.. the one spot where i had the video of the big tall 8 pointer I called "stud" had the SD card locked so it didn't take any pics.. which ticks me off ( my error) as that site is getting hit pretty good.. my stand where i had King, is hit but no bucks since last week.. i had 54 video's of a big doe and her twin fawns hitting my site.. there were there in 2 separate occasions and stayed over 25 minutes each time.. my son had 2 big bucks that we have had numerous pics of... one is the buck he named Curly Fry.. he called him that due to his one brow tine had a pretty knarly curl to it.. well he is back and man he grew.. he is now an 11 pointer and has a kicker off each brow tine.. he will score nicely i think.. the other buck he is with is the big 8 pointer from my other site, Stud... both really nice bucks.. can't wait for season.. we are staying out for about 12 days, we will make one last trip out to trim a few branches, freshen the mineral sites with more deer 'caine .. i normally don't but it's looking a little dry so i figured hit it once more and leave it alone until opening day..
the buck on the right facing the camera is Curly Fry.. the buck with him in the background is Stud..
this is the first pic we got of Curly Fry.. he grew pretty good. 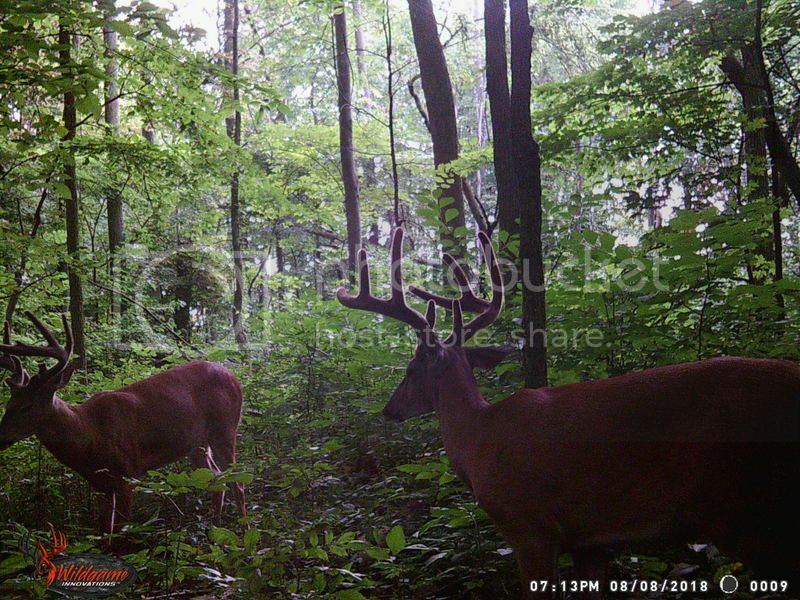 this one has Curly Fry in the back on the left and Stud is closest to the camera.. nice bucks.. i would LOVE to have my son call/ text me telling me he arrowed one of these bucks.. 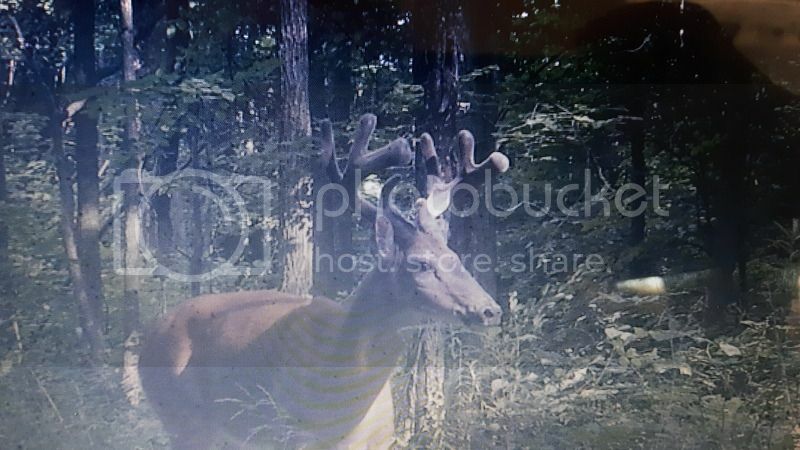 I finally got a small 6 pointer on my cam and got jacked up...if I saw even one of those on Camera I'd probably pass out until opening day. 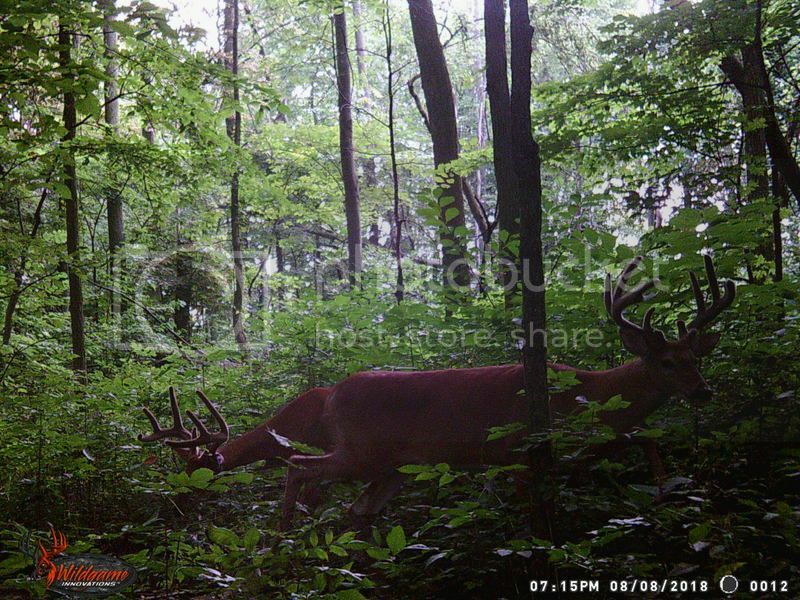 Awesome bucks! Good luck this fall!